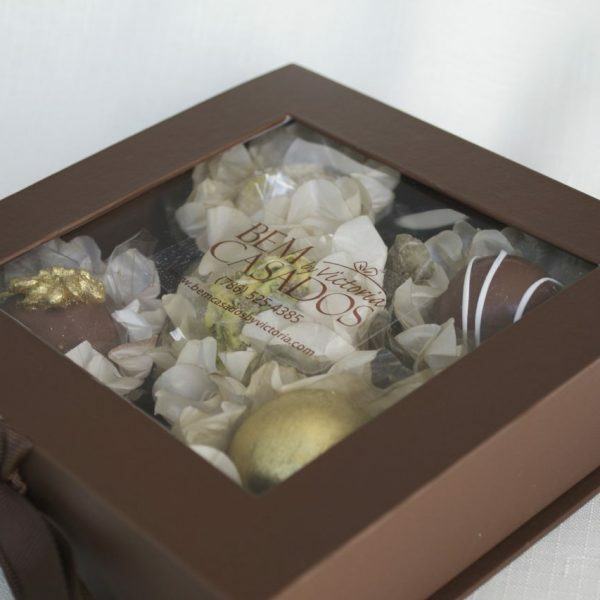 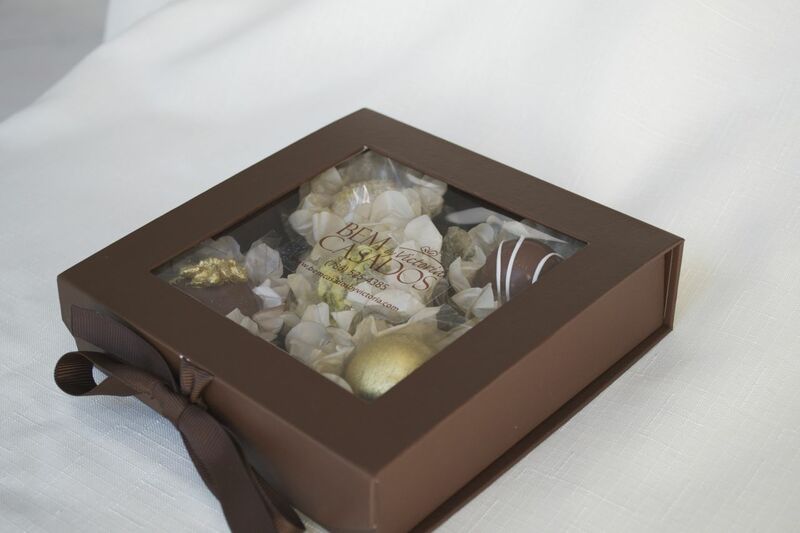 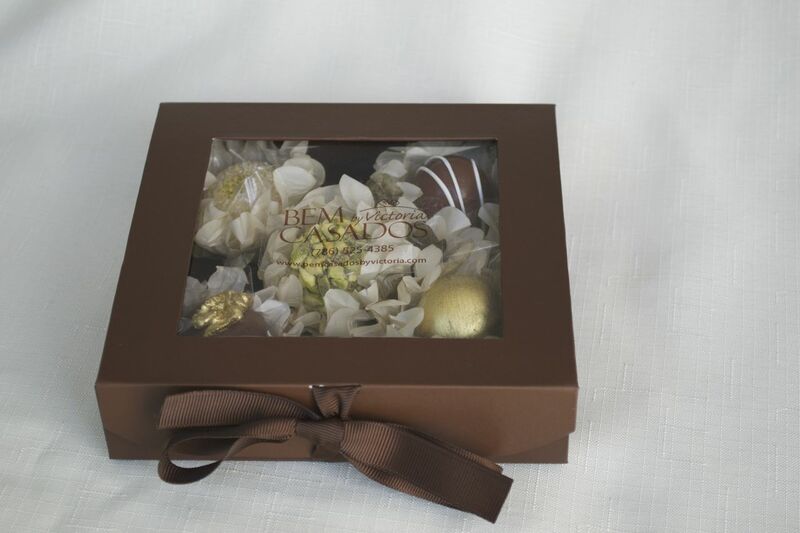 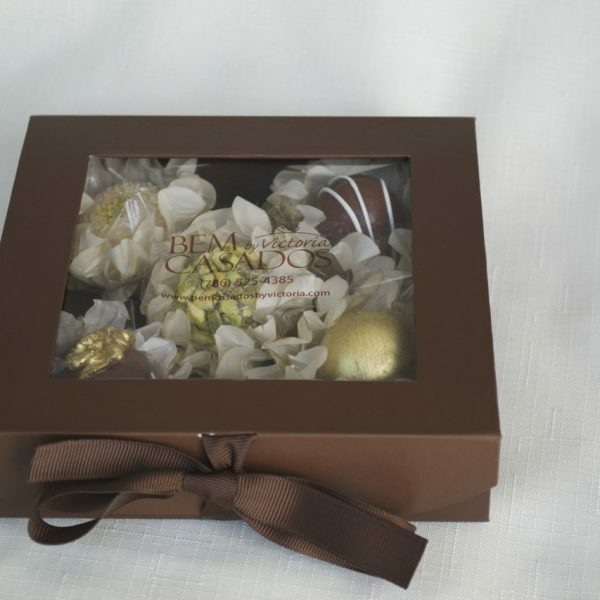 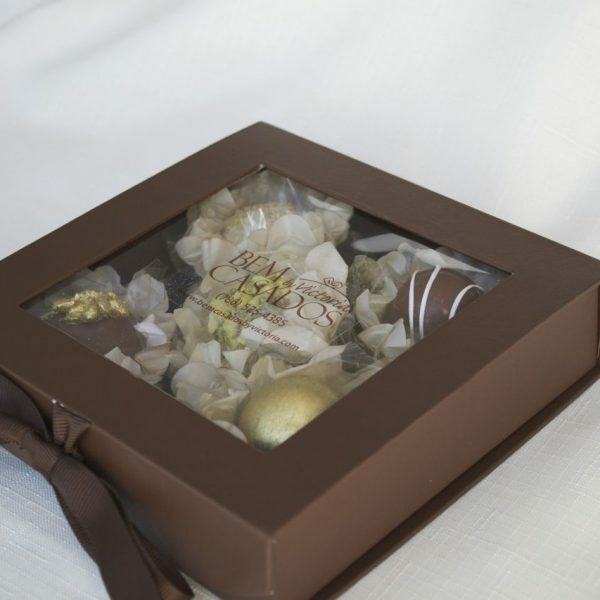 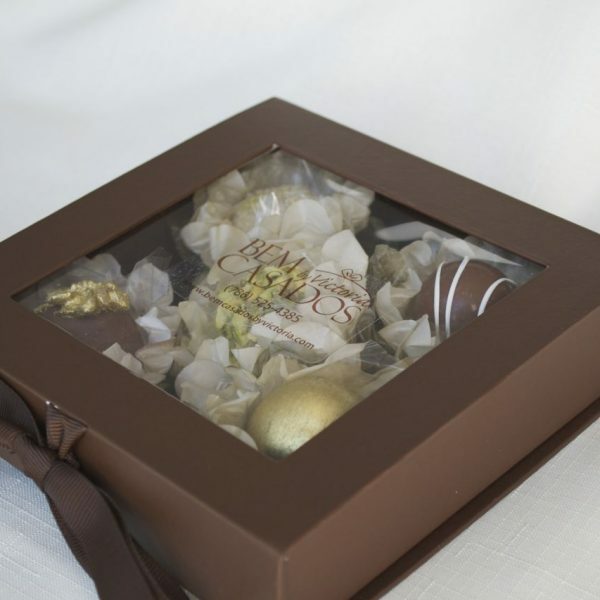 This beautiful box is a perfect gift for family and friends. 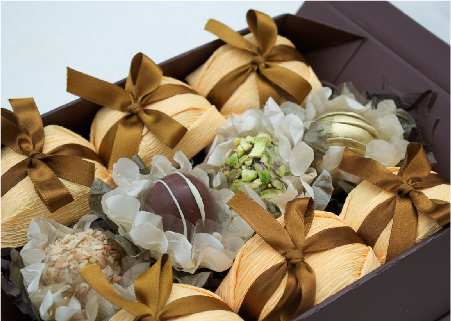 It consists in 12 delicious brazilian sweets ready to enjoy. 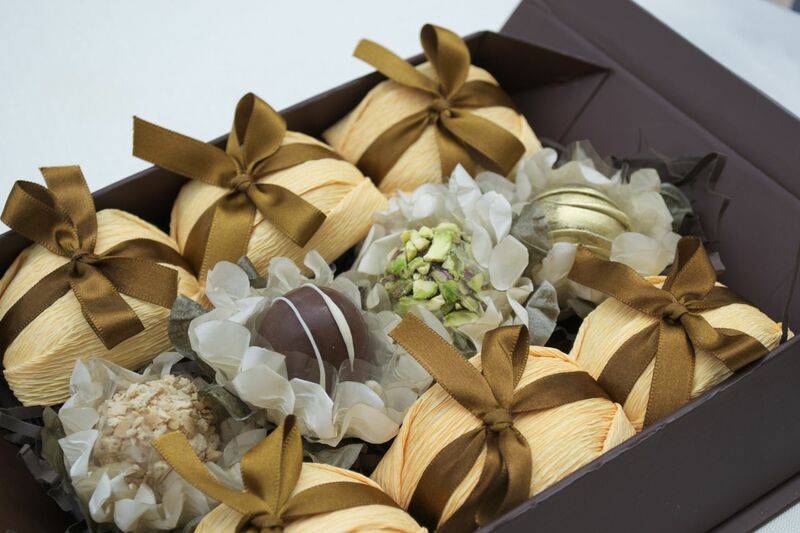 You can choose your 2 favorite flavors in each box. 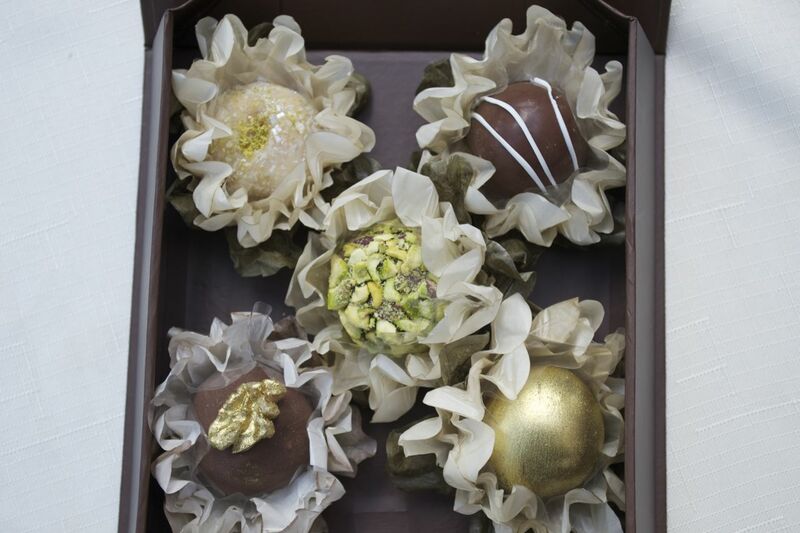 Looking for other flavors? 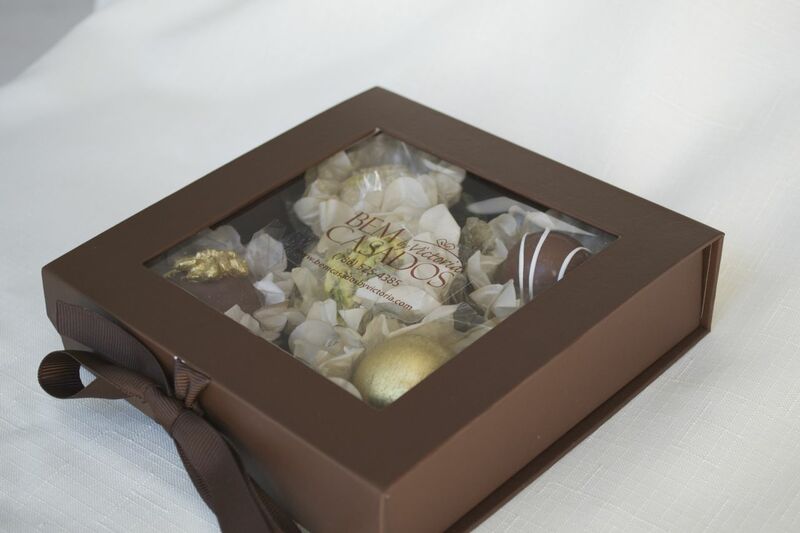 Contact us to find out the latest flavors available! 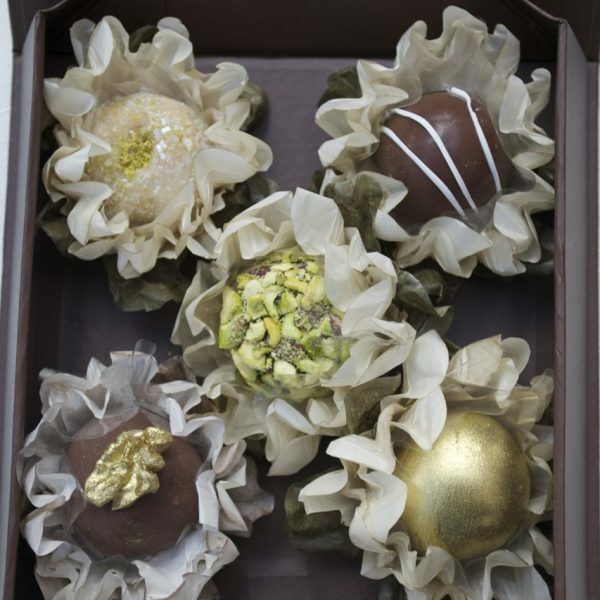 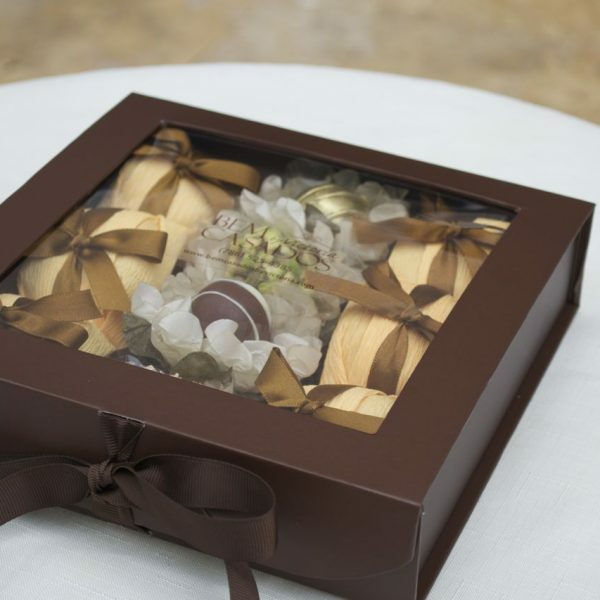 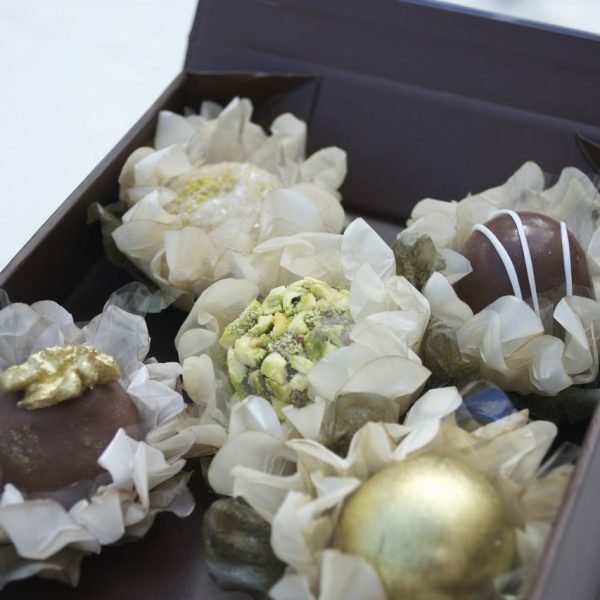 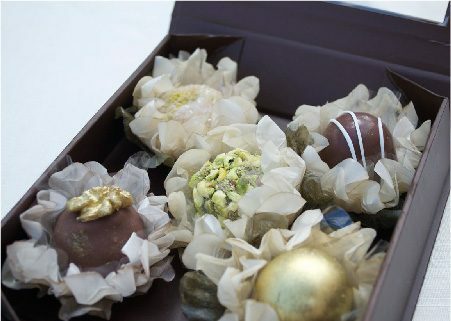 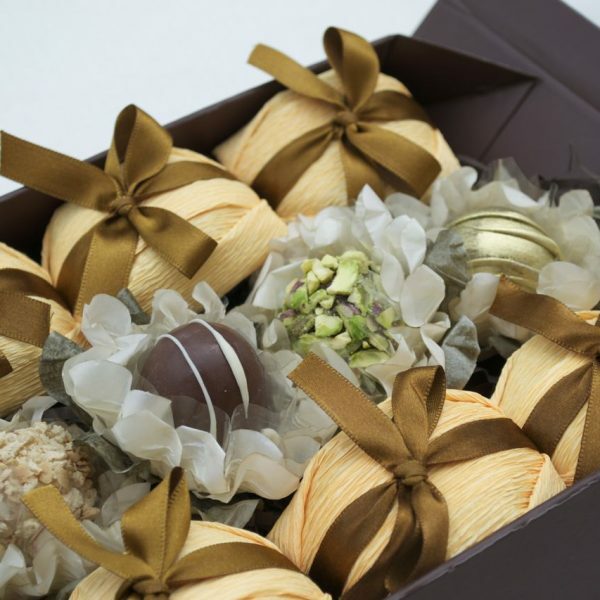 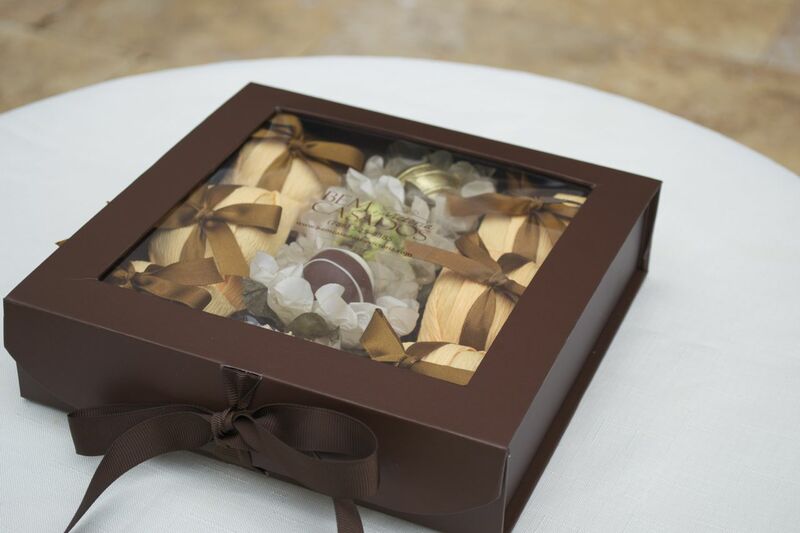 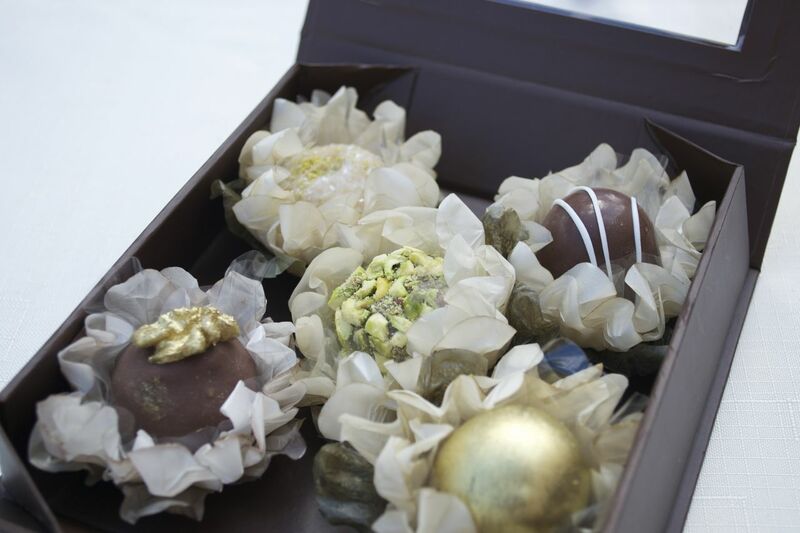 This beautiful box is a perfect gift for your loved ones. 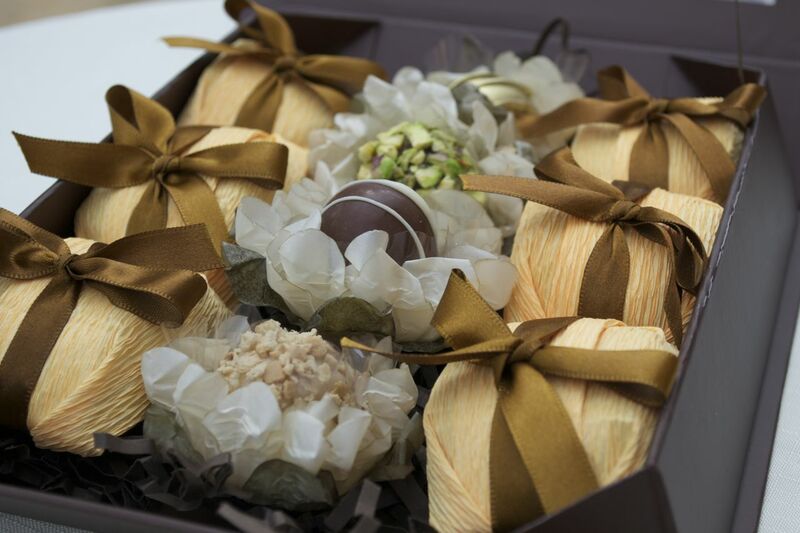 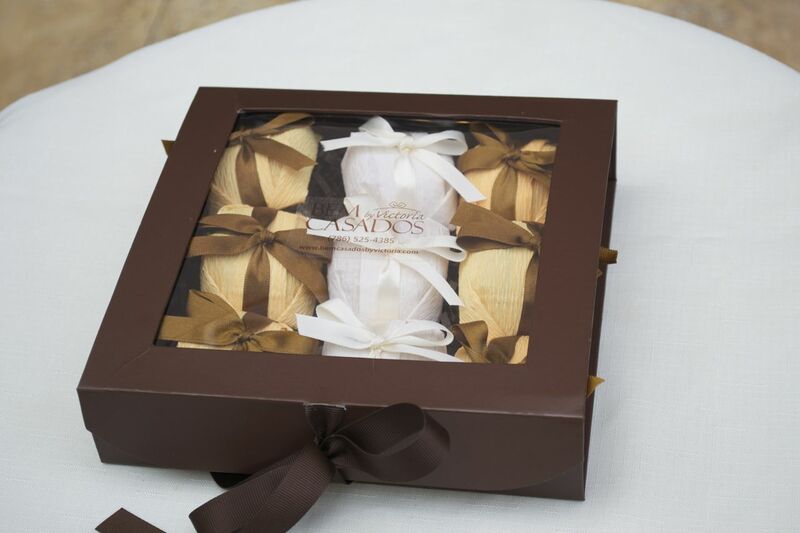 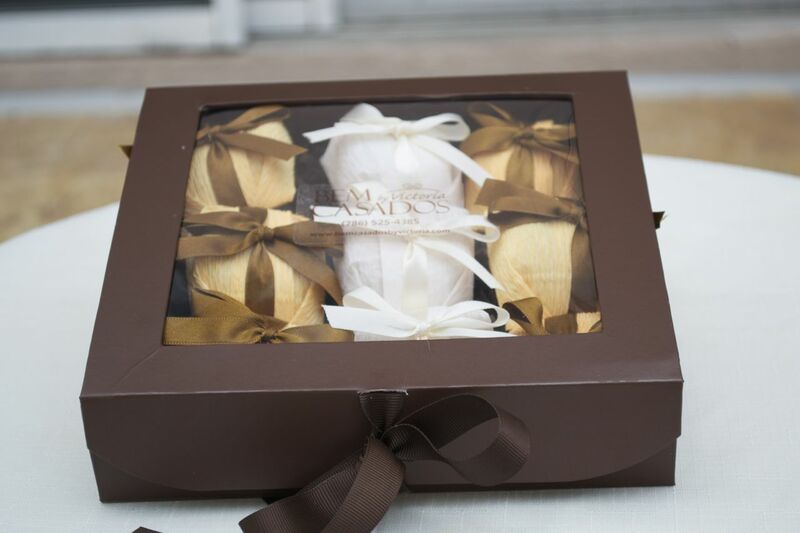 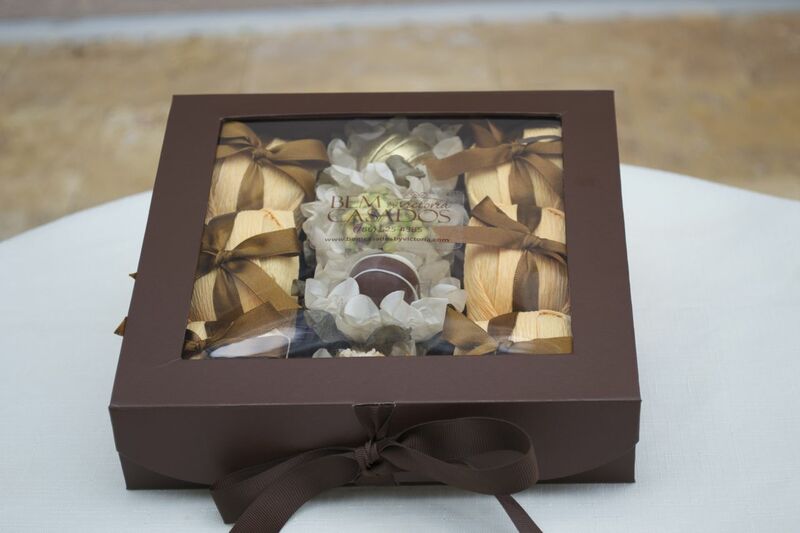 It contains 4 delicious brazilian sweets and 6 bem casados filled with dulche de leche cream ready to enjoy. You can choose your 2 favorite sweet flavors in each box. 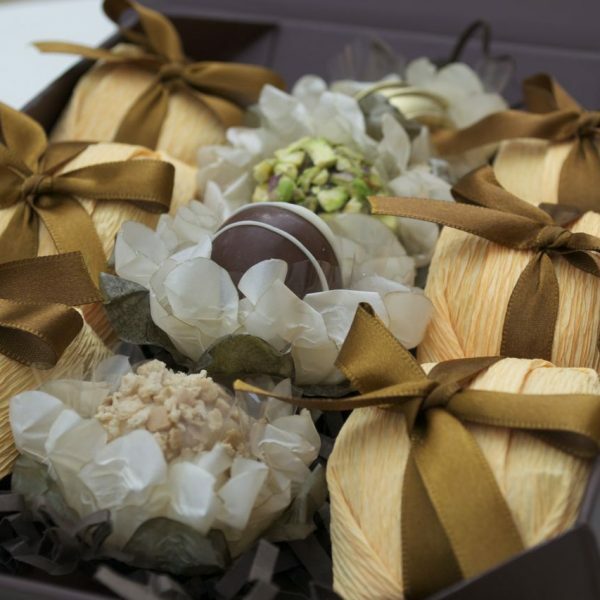 contains 9 delicious Brazilian sweets ready to enjoy. 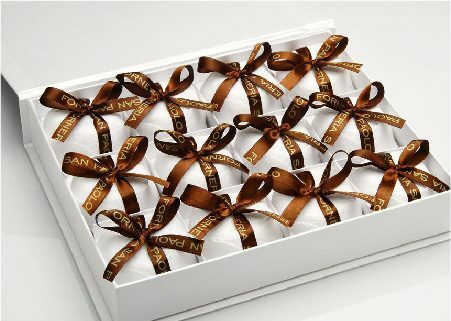 You can choose your favorite flavor. 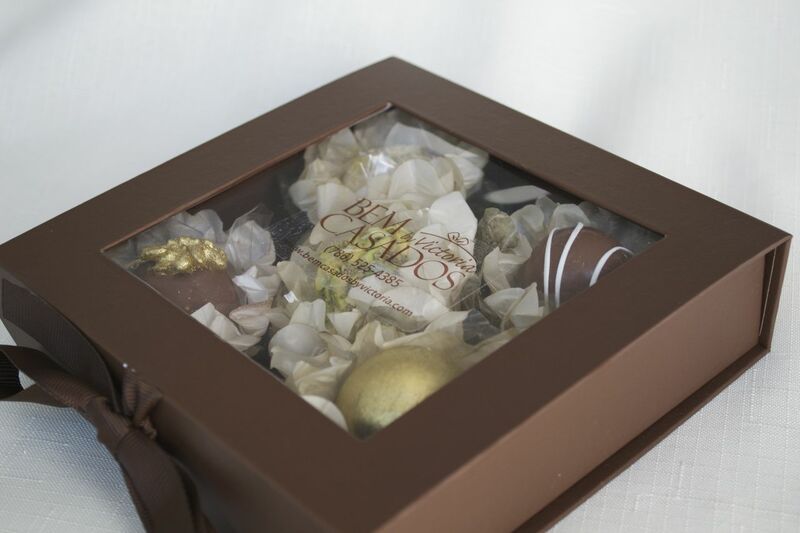 This beautiful box is a perfect gift for family and friends. 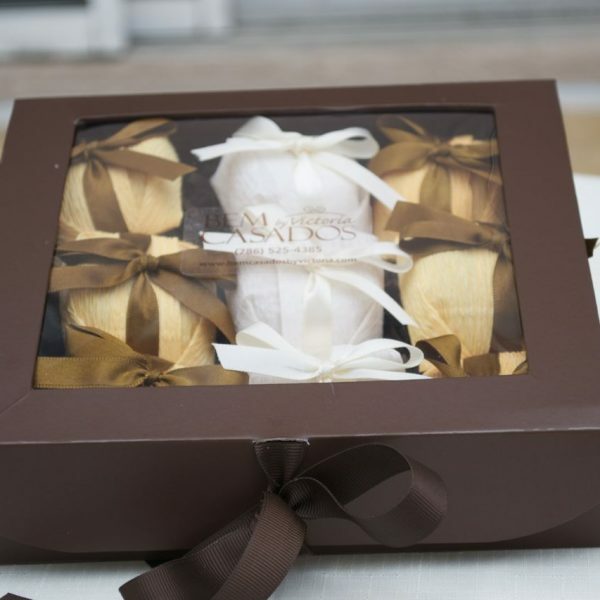 It consists in 9 delicious brazilian bem casados filled with dulce de leche cream. 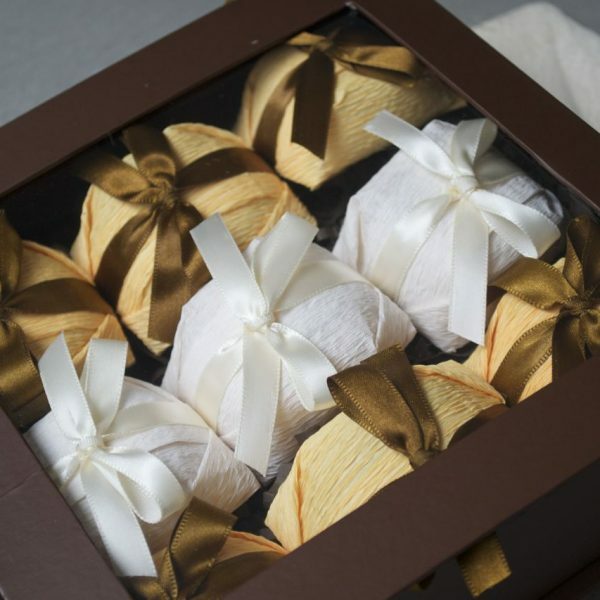 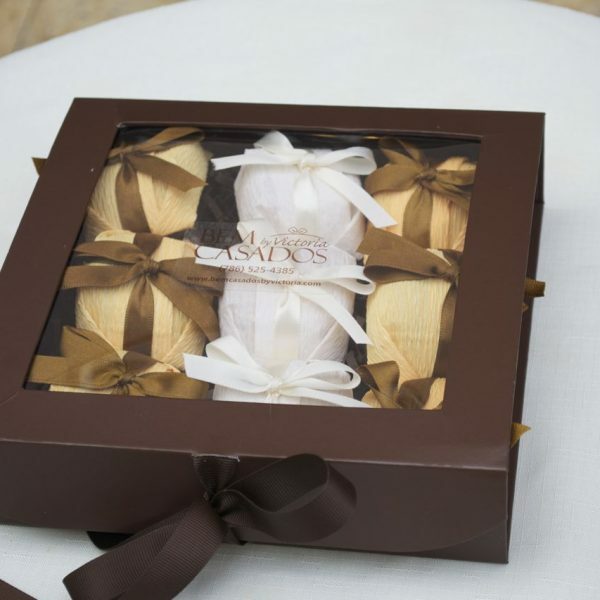 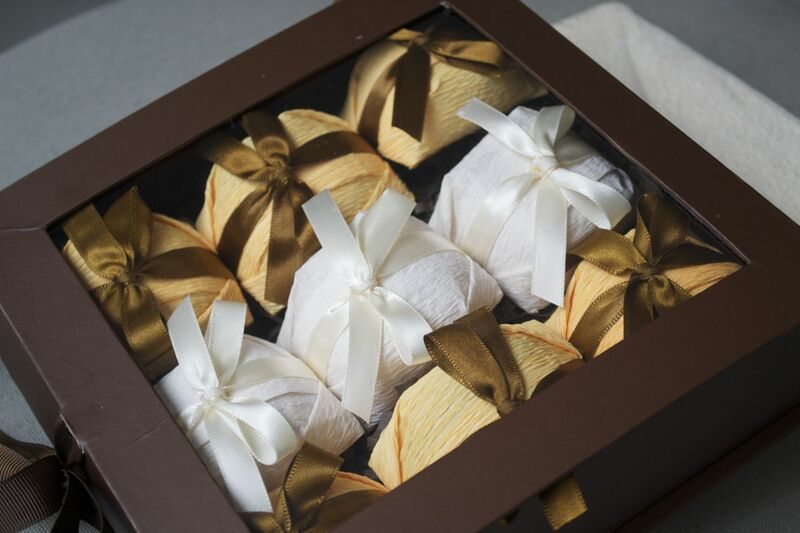 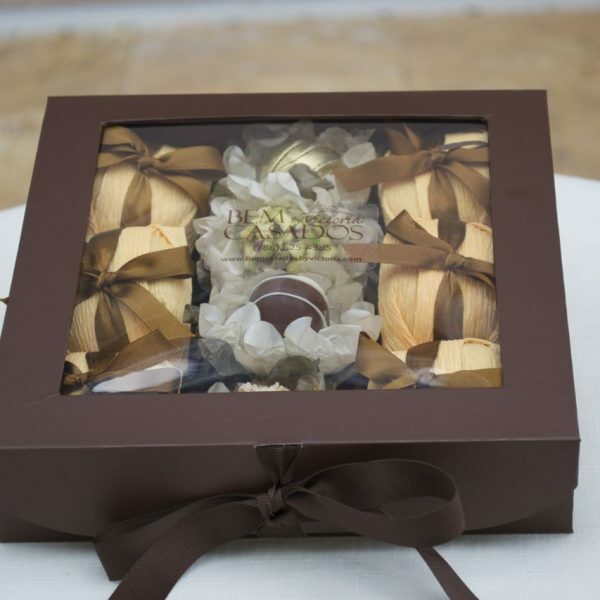 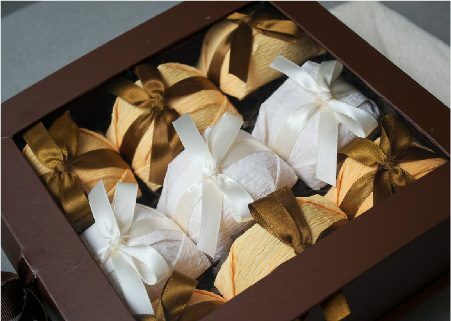 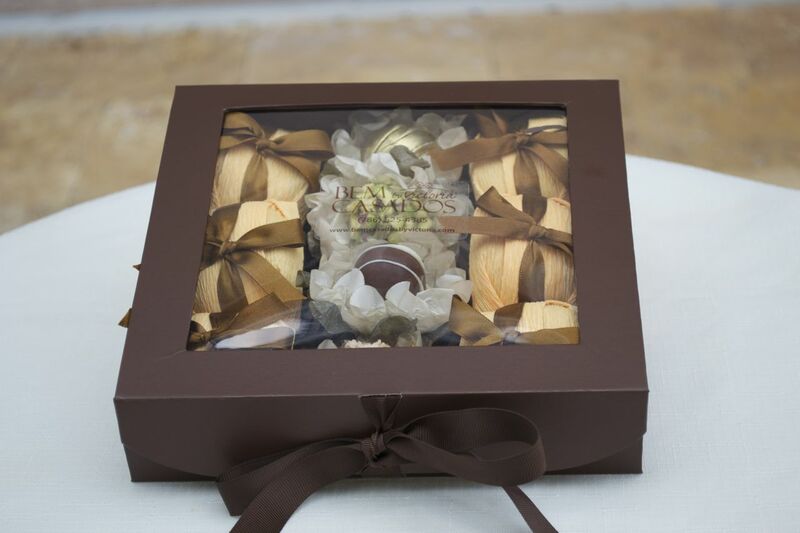 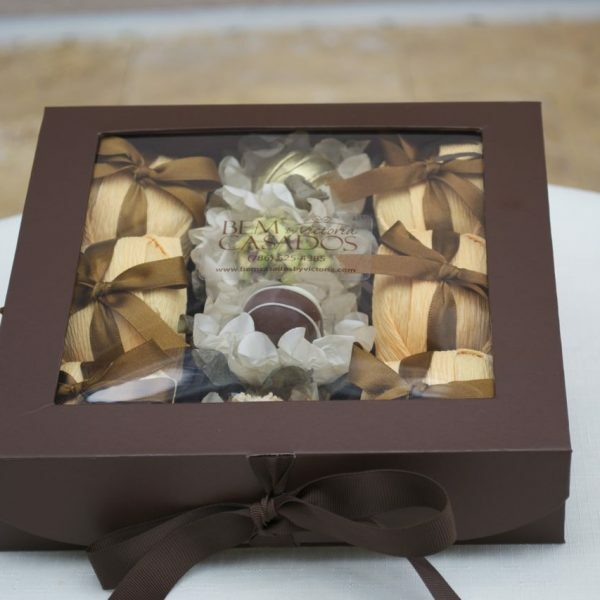 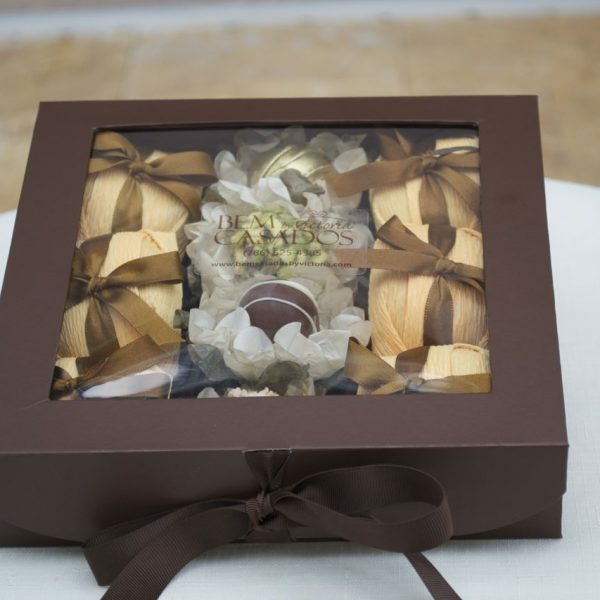 It is a perfect gift for brides as the tradition says, but also a good choice for newborns and as a birthday treat.